The Berlin Wall. 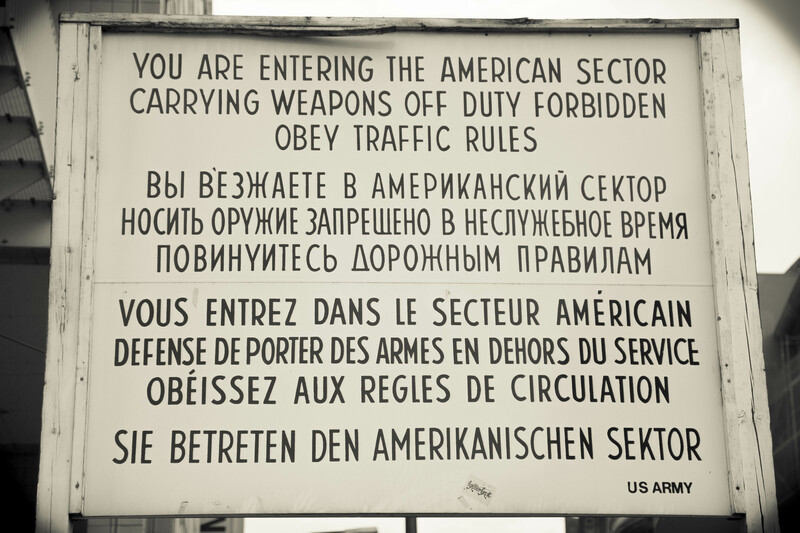 The physical landmark and figurative symbol of the Cold War. The barrier between Western freedom and blue jeans, and Communist constraints and bread lines. 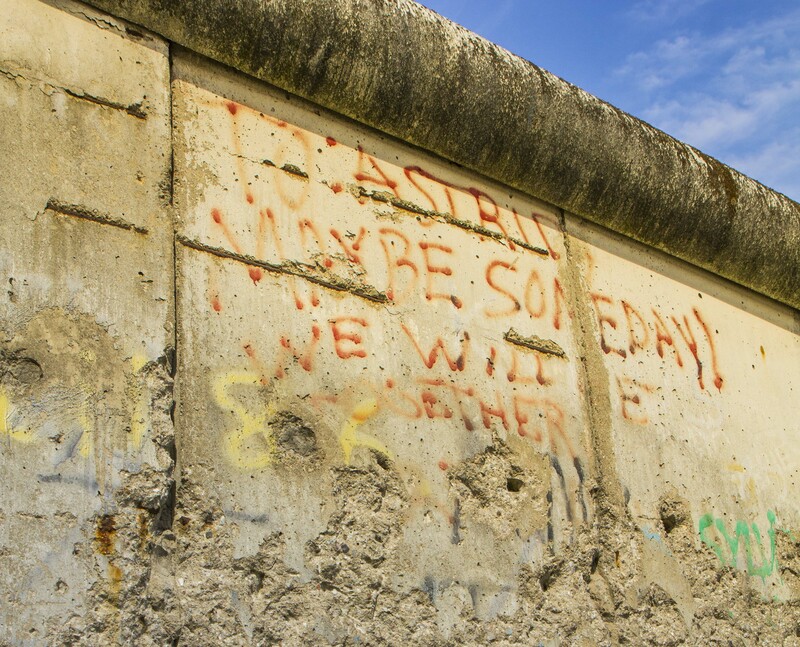 For most of us over the age of 30, we specifically remember where we were and how we felt when East Berliners finally made it over that wall. The opening of the Berlin borders quickly led to the reunification of Germany, a McDonald’s in Moscow, and the eventual dissolution of the Soviet Union. Ahh, the years have gone by so fast, and now we stand at 25 years since the Fall of the Wall. And now I am reminiscing about my visit to this icon of Communist rule. Even though we had made many trips to Germany, my husband and I had never been to Berlin together. Finally, on the occasion of our honeymoon, we decided to we had to visit one of Europe’s greatest cities. But as children of the Cold War, we also knew the trip had to be a journey into the city’s Communist past. 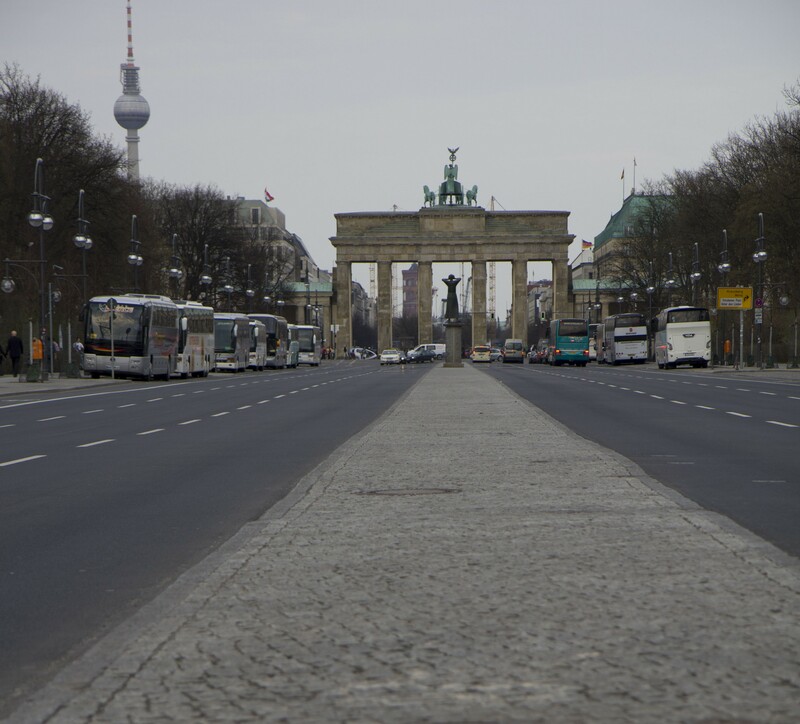 The first stop in any Berlin odyssey has to be the Brandenburger Tor (Brandenburg Gate). The triumphal arch is one of the most widely recognized landmarks in the city. 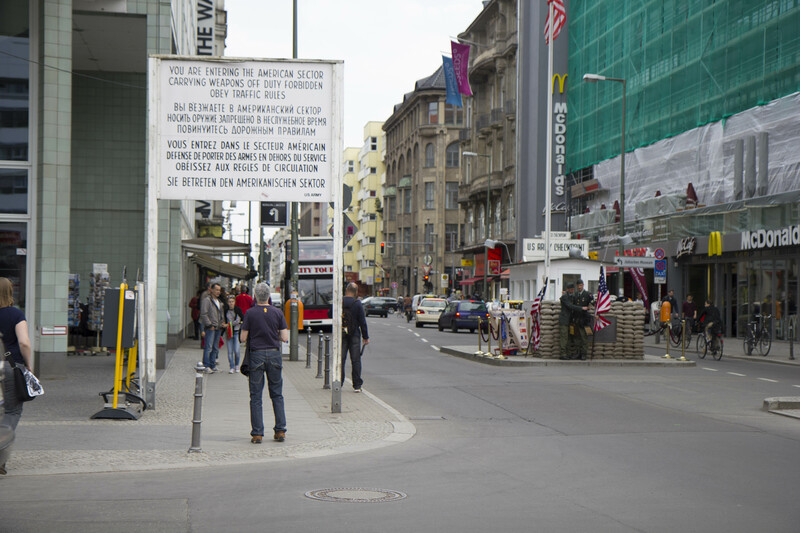 The TV images of young Berliners standing on the wall near this site are among the most iconic related to the wall. 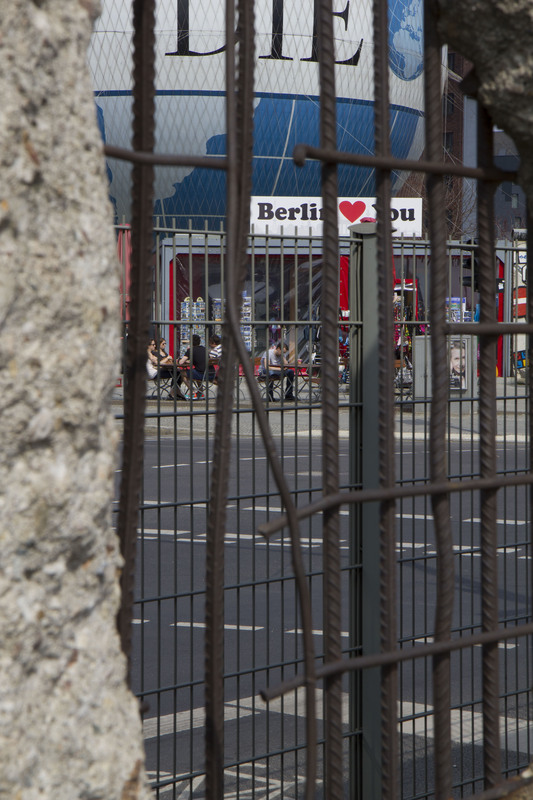 Not to mention, President Reagan gave his famous “Tear Down this Wall” speech near this spot from the West side of Berlin looking in. We continued our Wall journey south, through Potsdamer and Leipziger Platz, where we also saw the moving memorial of columns dedicated to the Murdered Jews of Europe. Although the street signs were not always easily visible, we finally found ourselves on Neiderkirchnerstrasse (which turns into Zimmerstrasse). Many of the greatest sites in Berlin can be found along this path. First, one of the largest intact sections of the Wall hugs the property Border of the Topography of Terror. Here exists some excellent examples of graffiti, so much an artistic legacy of the Wall’s history. Then on the way to more sites, we stumbled across another tourist attraction. While we weren’t quite sure what asisi The Panorama was, but we decided to check it out. This was truly a great experience and surprise. 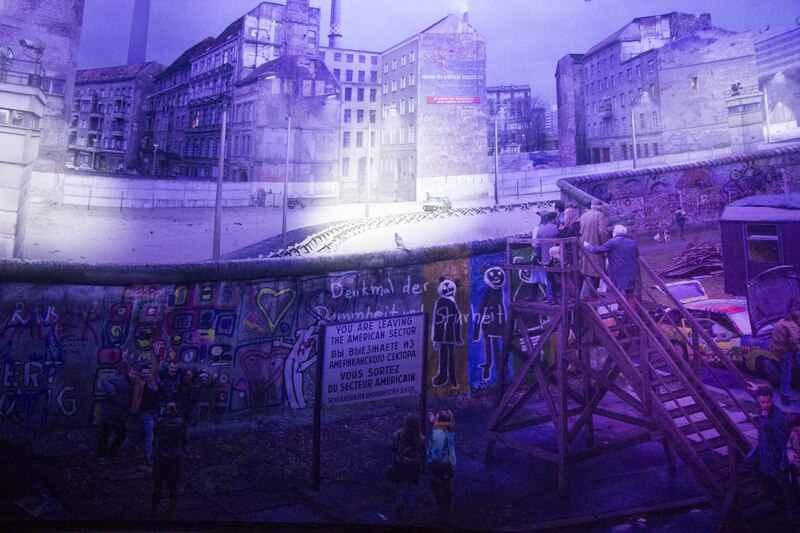 Inside a giant cylinder was a painted/lighted display of what it was like to be in West Berlin looking into the East. The Wall Panorama was incredibly lifelike and even changed as the seasons would. 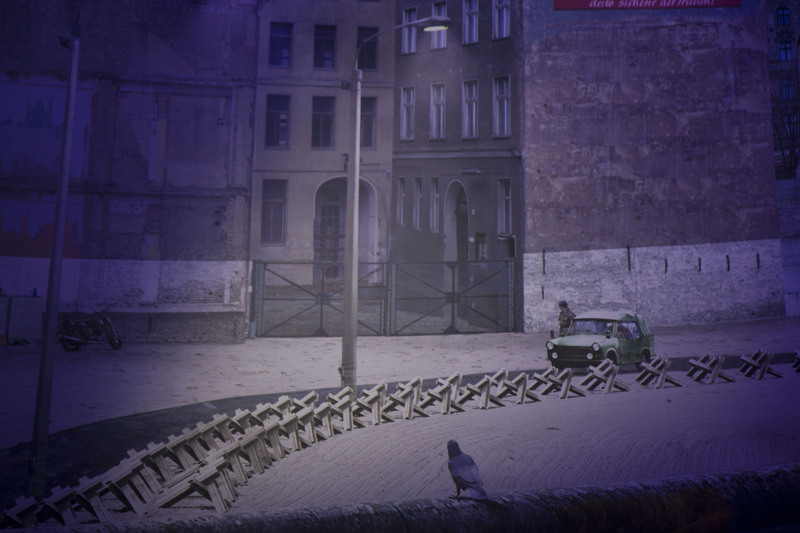 I felt as though I was actually looking over the Wall, across “no-man’s land”, and into the blocked windows of East Berlin slums. 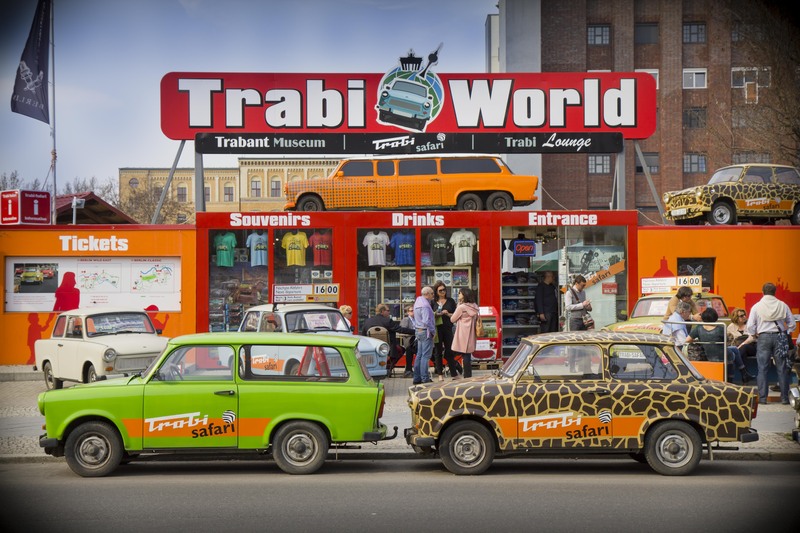 As we made our way to the obligatory Checkpoint Charlie, we also discovered Trabi World. 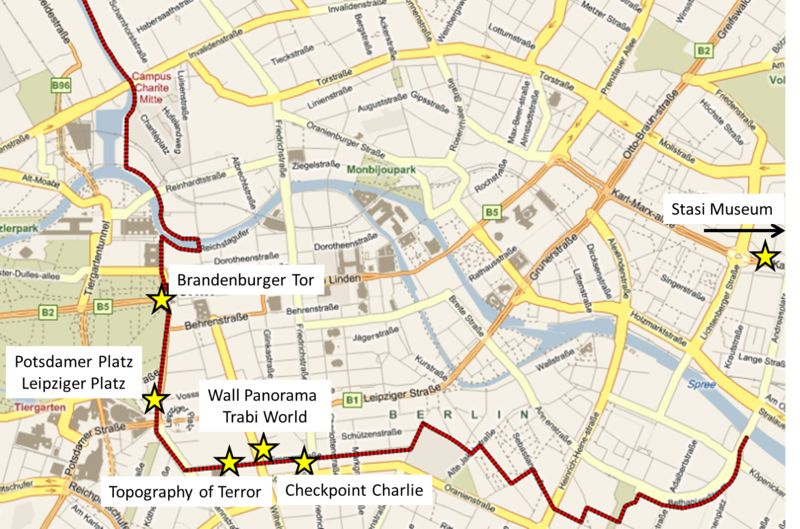 Of course, Checkpoint Charlie is well known as the East-West crossing point for Allied soldiers during the Wall’s stand. But lesser known in the West is the Trabi (full name Trabant). This East German-produced machine was the ubiquitous vehicle of any Eastern-bloc family. Its two-stroke engine (think of a modern lawnmower) and long lifespan made it the parade of vehicles to cross into the West, and a pop culture emblem today. Finally, no trip to the former East side of Germany would be complete without seeing and understanding the not-so-secretive State Security of the German Democratic Republic. The Staatssicherheit (popularly known as Stasi) has been described as the most effective and repressive intelligence agency to have ever existed. Popularized in the West by the recent movie The Lives of Others, it is legend that 50% of the population was spying and reporting on the other 50%. Our search for the Stasi led us right into the lion’s former den. Deep in the heart of old East Berlin still stands the former headquarters of the Secret Police. 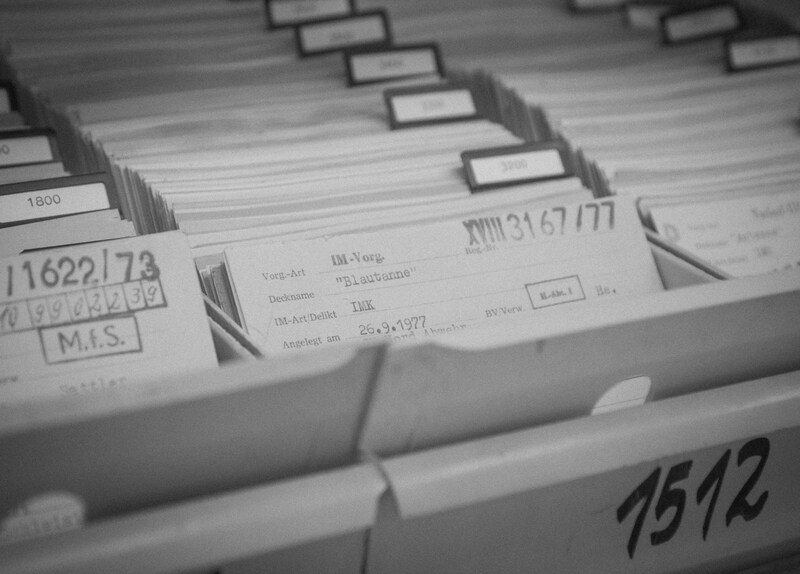 Nearly intact of furniture, artifacts, and paperwork, today’s Stasi Museum demonstrates the intricate and invasive measures the authorities were willing to take in order to ensure control over the populace. 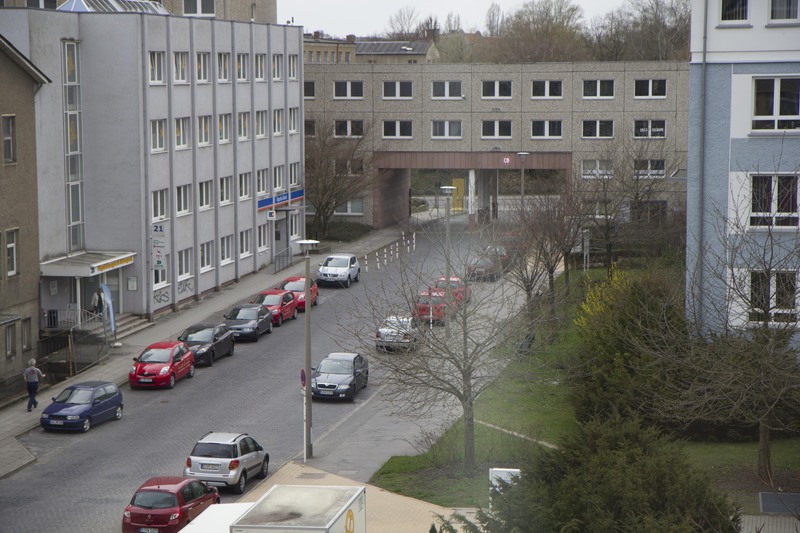 While the intact office of the former director was interesting, the real insights into the Stasi mindset were the vast number of dossiers and spy gadgets kept by the museum. 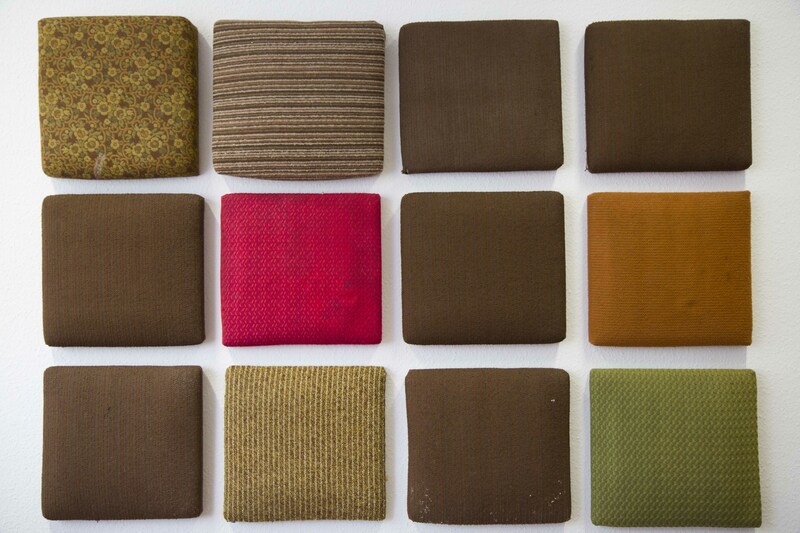 One of the most fascinating was the collections of seat cushion covers kept in jars. The intent was to keep a scent of each informant and informee, in case the dogs were ever needed to track someone down. I can’t tell you how grateful I am to have never experienced a government like this one. For us, the journey to Berlin was more than a honeymoon or a vacation. It was a trip into the past, where we had a defined enemy in the Iron Curtain and the Soviet sphere. The sites of the former East Berlin last as a reminder of the division the German people lived through for so many years. But Berlin is also a vibrant city, still rebuilding into a modern place 25 years after The Fall of the Wall. This entry was posted in Europe, German, Germany, Travelog, Uncategorized and tagged berlin, berlin wall, communism, east berlin, fall of the wall, German, Oktoberfest, travel blog. Bookmark the permalink.